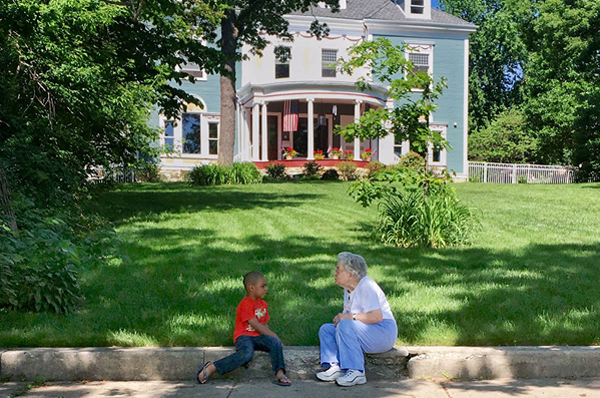 After reading former BAPA executive director Chuck Shanabruch’s article in the April issue of The Villager, I was reminded of how difficult the challenge of maintaining a strong, vibrant community can be. Chuck laid out the key programs and areas of work that BAPA has so steadfastly maintained over the years. During my tenure as executive director, BAPA continued to push the organization’s original mission and, I believe, accomplished good outcomes in many areas including maintaining quality schools and improving retail corridors, community safety and housing. This was due to a talented BAPA staff which at the time included Adeline Ray, Marcia Walsh, Alice Collins, Pam Holt and Grace Kuikman all working together with a strong and committed board. BAPA board members worked tirelessly to keep our community moving in the right direction. I was especially grateful for the insightful and professional direction we received from the board presidents. Tom Hogan, Rosa Hudson, Greg Richmond, Mike Stanton and Melody Camp were terrific leaders who made tough decisions, all in the interest of keeping BAPA strong and on task. Mike Sise, who headed up the Beverly Morgan Park CDC, deserves special recognition for his development work in our community and for gifting BAPA’s current location to the organization in 2005. Programs are the outward mechanisms of an organization that push forward the mission, but in order to keep programs solid you have to have resources. BAPA is self-funded, largely through the generous donations of community residents and businesses. Community events are also a significant source of income and support for BAPA’s programs. During the eight years I was with BAPA our events underwent significant changes. Many folks in our community don’t necessarily like change, but it’s necessary to breathe new life into events with both subtle and sometimes dramatic changes. In 2001, we changed the route of the Ridge Run (which celebrates its 40th run this Memorial Day!). The route was extended south of 111th Street for the first time with the idea of including more parts of the community in the race while giving the runners a change of scenery. (The route has since moved back north of 111th Street due to higher costs of street closures etc.) We also added chip timing, enhanced runner refreshments, dri-tech shirts and the youth mile. The Memorial Day celebration included the traveling Viet Nam Wall one year. We introduced a fall festival on the grounds of Morgan Park Academy that was mildly successful the first year and even visited by the young Obama family. The next year it was, literally, snowed out. The Snowflake Ball was one of BAPA’s signature events and great fundraiser for many years but as The Plaza deteriorated and lost business, we saw a drop in attendance. We moved it to St. Xavier University for a few years, but it never gained back its old charm and we decided to cancel it. Fortunately we were able to bring an exciting new event to the community in the summer of 2003, the Beverly Hills Cycling Classic. Thanks to assistance from David Kennedy, who was with the Mayor’s Office of Special events at that time, we were introduced to the operators of the oldest criterium series in the country and became the first Chicago location for the race. The BHCC still takes place every July, providing the excitement of bicycle racing along with the opportunity to spend time with friends and neighbors in a festival setting. All of the BAPA events are designed to bring people to our community while bringing our community together. We want others to see the beauty of our neighborhood and perhaps come back to purchase a home and become part of our community. 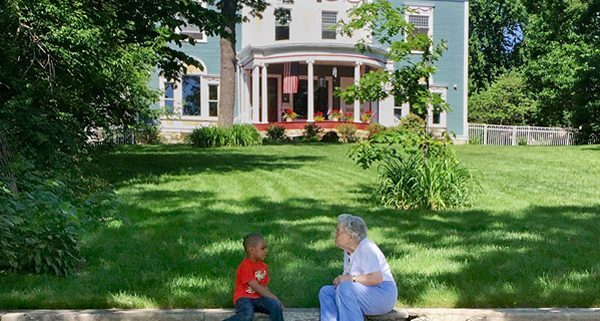 Hundreds of residents were introduced to the Beverly/Morgan park community through BAPA events. Many people have remarked of how they were impressed by all of the volunteers who welcomed them to our community. More importantly, events build community. The Beverly/Morgan Park area is divided into little communities by geography, parishes, churches, schools and civic associations. Community wide events bring everybody together to celebrate, participate and share our stories. Because at the heart of any good community is a story that must be told, improved on and shared. It’s what makes our community and any community special. See you in the neighborhood.